Life was good at the end of 2007 for Bill and Mary. Bill, at age 60, had enjoyed a successful career with Walgreen’s, one of the largest retail companies in America. His career, begun 28 years previously, enabled Mary to be a stay-at-home mom and paid for their two kids’ college education. It also enabled the couple to build a $1 million position in a Fidelity New Millenium Fund through consistent investments over the years. During the previous decade, Bill had been the beneficiary of annual stock options, which he faithfully exercised, maintaining the common stock with the faith that the company would continue to grow in value. By 2007, the stock was worth more than $300,000. The couple was looking forward to Bill’s early retirement in 2010. They hoped to travel to make up for all the trips they’d foregone during the early years of saving for retirement and college. With the Great Recession, the S&P 500 fell more than 800 points, a 55% decrease. While the New Millennium Fund did better than the general market average — losing only 48% of its value — the value of Bill and Mary’s portfolio dropped to slightly more than $150,000. The Walgreen’s stock also suffered, falling from $48 per share in September to $23 in 2009. The options Bill had yet to exercise were underwater. Their plans for an early retirement were no longer possible. Yes, it would have been difficult to avoid the economic tsunami that hit the world in those waning years of the last decade. However, Bill and Mary could have taken steps to reduce their vulnerability and limit the damage to their retirement portfolios. Keep yourself out of Bill and Mary’s position. If you anticipate retiring within the next five years, it is time to work with your financial advisor and accountant. Your priority? To adjust your portfolio to avoid a similar circumstance. When you are nearing retirement, you are nearing the finish line of the investment portion of your life. At retirement, you’re more likely to liquidate (rather than make) investments, reducing risk and shifting into investments that generate income. The pace of your transition depends upon your individual risk tolerance, the time remaining until retirement, and the existing capacity of your investments to provide the income desired when you are no longer working. If you’ve purchased individual market securities, received your company’s stock through a stock purchase plan, or exercised company stock options, consider replacing your individual stocks with a portfolio of investments. This will help to reduce your investment risk. Betting your future on the performance of a single company is akin to going all-in on a flush in a high-stakes poker game. Five cards in a single suit is a good hand; the odds say you will win 83% of the time. But your opponent could still have a full house, four-of-a-kind, straight flush, or royal flush. Similarly, a business downturn, the entry of a new competitor, or a technological break-through can turn the fortunes of a single business upside-down. Reduce your risk by selling all or a majority of your single company stock. Then, invest the proceeds into a pool of securities, whether managed as in a mutual fund or unmanaged as an ETF. This strategy can help make you less vulnerable to market downturns. According to a report by Towers Watson, defined-benefit pension plans have consistently out-performed 401k plans. Experts claim the reason is that pension plans are more heavily diversified. They tend to have investments in fixed income, real estate, and emerging markets equity and debt. Of course, pensions are hard to come by these days, and younger generations likely won’t have this safeguard to fall back on. So, what can they do to have the same performance? Robert G. Capone, executive vice president of the BNY Mellon Retirement Group, stated that the secret is applying the strategies of pension managers. By doing so, private investors can reduce equity risk and home country bias, all while increasing diversification, return potential, and downside risk management. As your risk tolerance declines over the years, a greater portion of your assets should be in fixed income securities (40% to 60%). For example, you might initially invest a portfolio of $1 million with $400,000 in bonds and $600,000 in stocks. To create a bond ladder, you might invest $40,000 (10%) of the intended portfolio in 10 different bonds. One bond could mature at the end of year one, with another maturing at the end of year two, and continuing as such for the next 10 years. As each bond matures, you would reinvest the proceeds in new bonds each maturing in 10 years. This example illustrates an “intermediate-term” ladder. A “short-term” (or “limited term”) ladder has average maturity of three to five years, while a “long-term” ladder would have an average maturity greater than 10 years. The primary goal of a laddered fixed income portfolio is to achieve total return over all interest rates cycles similar to the total return of a single bond, but with less market price and reinvestment risk. When investing in bonds and determining the length of your ladder, recognize that the longer the duration (the average length to maturity) of your bond portfolio, the more risk and volatility that you assume. This is due to changes in interest rates. Simply stated, the market price of a bond with a maturity of one year varies less than a bond of 10 years. As bonds approach maturity (the principal being repaid), the closer the market price will be to the face value of the bond. As you are preparing for retirement, you should determine whether you have the stomach to endure the wide price movements associated with holding long-term bonds. For most retirees, the first two to three years after retiring is a period of great activity and expense. You may be traveling, moving into a new home, taking up or indulging in hobbies. All of this is stimulated by the lack of a regular schedule and the seemingly-unlimited opportunities before you. The loss of benefits previously paid by their employers. These include company cars, meals, travel, and computers. Each of these must be replaced to maintain the same lifestyle you had when working. Travel costs that are higher than anticipated. 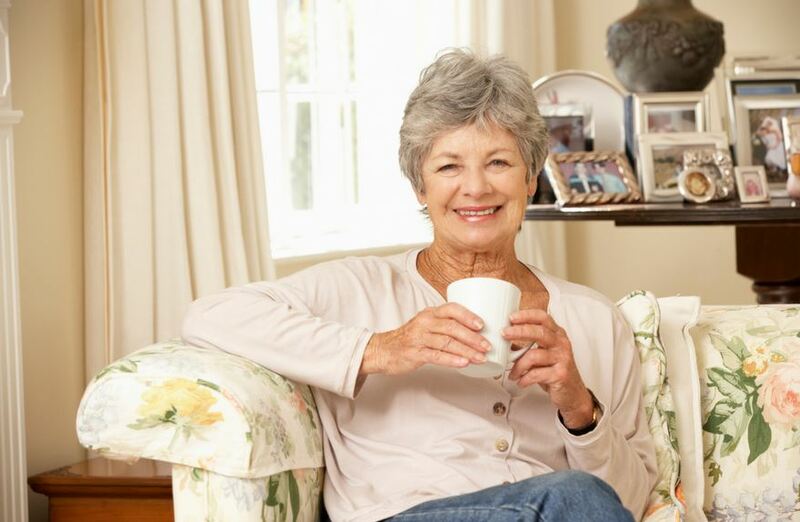 According to some financial planners, retirees underestimate their costs by 10% to 20%. Healthcare costs. Medical costs are increasing every year, and Congress is constantly reviewing strategies to reduce the federal government’s costs of Medicare. Retirees will be responsible for any shortfall. Keeping a greater proportion of your assets in near-cash equivalents may cost some income, but you will avoid having to liquidate assets at losses due to short-term needs. A study by Fidelity Investments — of a $500,000 balanced portfolio with 50% stocks, 40% bonds, and 10% short-term investments — calculated that an investor could make withdrawals at a 5% rate for 24 years, even in an extended bear market, and for 36 years at a 4% rate before funds are exhausted (zero balance remaining). Their work included a similar analysis for a hypothetical couple retiring in 1972 with a similar portfolio. During the 40-year span, the economy witnessed two of the worst bear markets in Wall Street history, five recessions, two wars, and the great bull market of 1982 to 2000. A 5% withdrawal rate would have depleted the fund by 1997. A 4% rate left almost $1 million remaining in principal at the end of 2011. Unless your personal conditions — health, family responsibilities, and availability of other retirement income — dictate otherwise, limit your annual withdrawals to 4% of your portfolio or less. Rather than distributing a fixed percentage of your portfolio, you could choose another option. 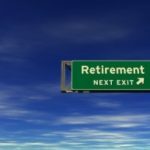 A study by Ibbotson Associates recommends a strategy similar to that required by the IRS for required minimum distributions (RMDs) from a qualified retirement plan. The percentage of the principal withdrawn is based upon mortality tables and one’s expectation for living beyond his or her expected death age. For example, if at age 65 one had the expectation of living an additional 22 years, the rate of withdrawal would be 4.54% (100/22). The following year, life expectancy would decrease, effectively increasing the rate of withdrawal (100/21, 100/20, and so on). If the beneficiary felt that he or she would live longer than expected, the rate of withdrawal should be decreased. If he guessed less than the mortality tables project, a higher rate of principal could be withdrawn. Bill and Mary’s plan for retirement was, understandably, postponed. Bill continues to work, and he has been actively involved in Walgreen’s effort to adjust to a new competitive environment, driven by changes in healthcare delivery. Their portfolio has largely recovered from the depths of 2009. Ironically, their financial position is better today than had Bill retired as planned at age 62. Even though Bill is not sure how much longer he will work, he has implemented a number of the above strategies to avoid a repeat of 2009, and to better position both himself and his wife for a secure retirement. What other tips can you suggest to properly adjust a retirement portfolio? I weathered the the economic tsunami that hit the world from 2007 to 2009 just fine by being invested in 50% stocks and 50% bonds. 1. Don’t hold ANY individual stock positions at ALL! Invest in low cost index funds like the Vanguard Total Stock Market Fund, Vanguard Total International Stock Market Fund, Vanguard Total Bond Market Fund and the Vanguard Total International Bond Market Fund. Keep at least 40% of your assets in stocks. Stick to the 4% rule. 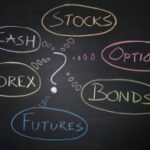 If you have 2-4 years expenses in fixed income or bonds, you should be able to ride out any typical Bear market without tapping funds in the market that have fallen, allowing them to recover. Then after the recovery, REBALANCE! I think it’s crazy how investors who approach the pension age fail to act and rebalance their portfolio. It’s definitely worth switching asset classes slowly but surely 10 years before you intend to retire. Thanks for sharing a very thought provoking article. Don’t buy anything unless an absolute necessity ! You won’t be sorry–trust me I,m almost 90 .